Internet is a vast space of knowledge. People uses internet to how things works, how to do something, how to start a business and thats why Google has been launched a new domain *.how mainly focused on tips and tricks websites. .how domain is from Google registry and registering a domain name on .how is easy. visit get.how and search the domain name you want and Google will suggest you some of it's partners can register your domain name with. 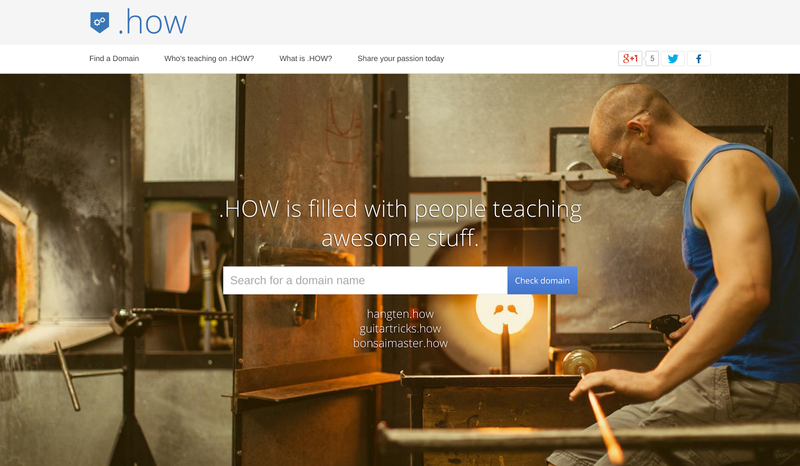 Your domain will let people know that your content is teaching something about. For example, consider the address, www.design.how. As domain implies, people will know that your content is about teaching and how to tips on the topic, designing. Registering .how domain for teaching and how to websites will also effect your SEO in good manner. because, Assume some one searching the keyword, "How to Design" and your url is www.design.how and the keywords "design and how" are there in the url itself.